David Earle's masterwork Sacra Conversazione received its first performance in July after almost twenty years since its last staging. Originally created in 1984 for the Banff School of Fine Arts and subsequently set on Toronto Dance Theatre (TDT) in 1986, the work had not been seen since the early 1990s in part due to the cost of remounting it with its minimum cast of thirteen. The reconstruction project was spearheaded by Kenny Pearl who was artistic director of TDT when the company first performed the work. Pearl, a renowned teacher in professional training programs, brought together recent graduates of Ryerson University and the School of Toronto Dance Theatre along with a student from each of the National Ballet School and Canadian Children's Dance Theatre to participate in a three-week dance intensive that culminated in the remount of Earle's acclaimed work about mortality and grief set to Mozart's unfinished Requiem Mass. Earle aided in the remount, as well as former TDT company members such as Karen Duplisea. Final performances were held at Canadian Children's Dance Theatre in Toronto July 2nd and 3rd. 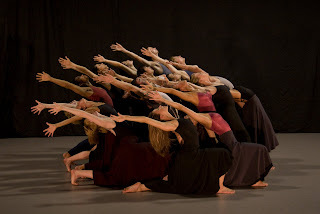 Sacra Conversazione has been recognized as a Canadian masterwork by Dance Collection Danse.